What makes the perfect club for juniors? | Sports Marketing Surveys Inc.
What makes the perfect club for juniors? 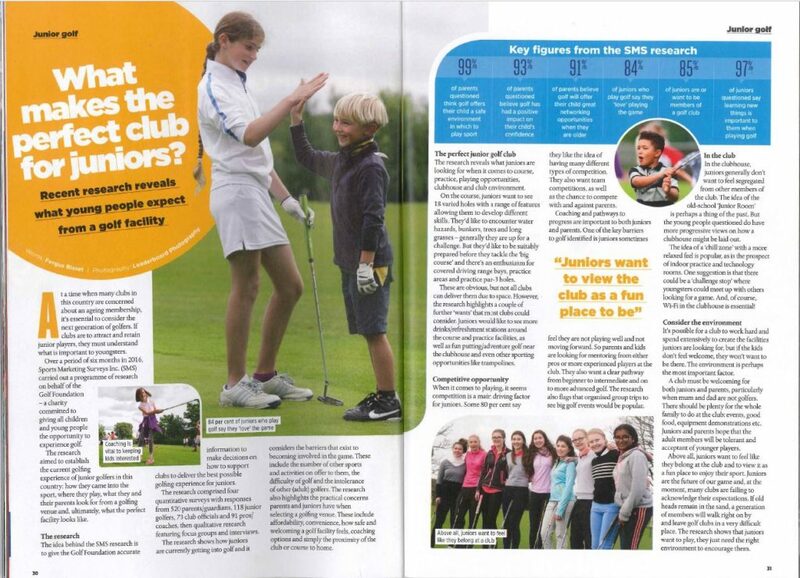 Did you see our research for The Golf Foundation featured in GOLF MONTHLY this month? We interviewed 520 parents/guardians, 118 junior golfers, 73 club officials and 91 pros/coaches to establish what makes the perfect club for juniors. Get in touch with us for more information.